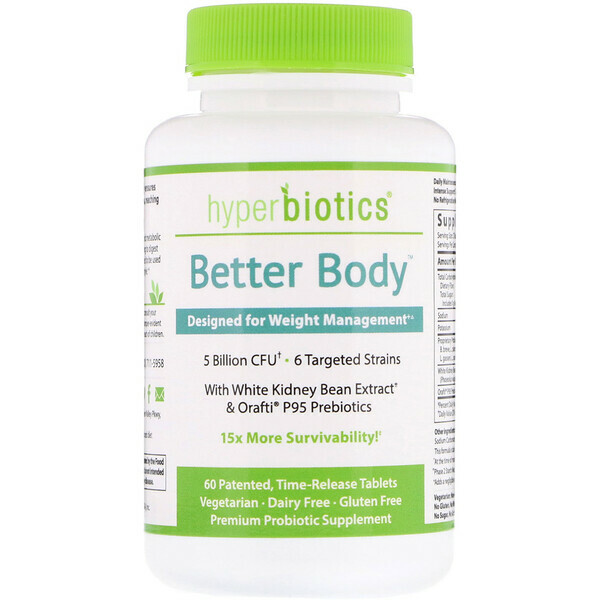 With a patented delivery method, Better Body ensures 15x more survivability than standard capsules, reaching deep into your intestinal tract alive. This formula is designed to support your digestive and metabolic function by promoting balanced gut flora and helping to digest carbohydrates. Hyperbiotics Better Body is intended to be used in conjunction with a healthy diet and an active lifestyle. † At the time of manufacture. Minimum of 1.5 Billion CFU at expiration. Daily Maintenance: Take 2 tablets ideally before a starch-containing meal. 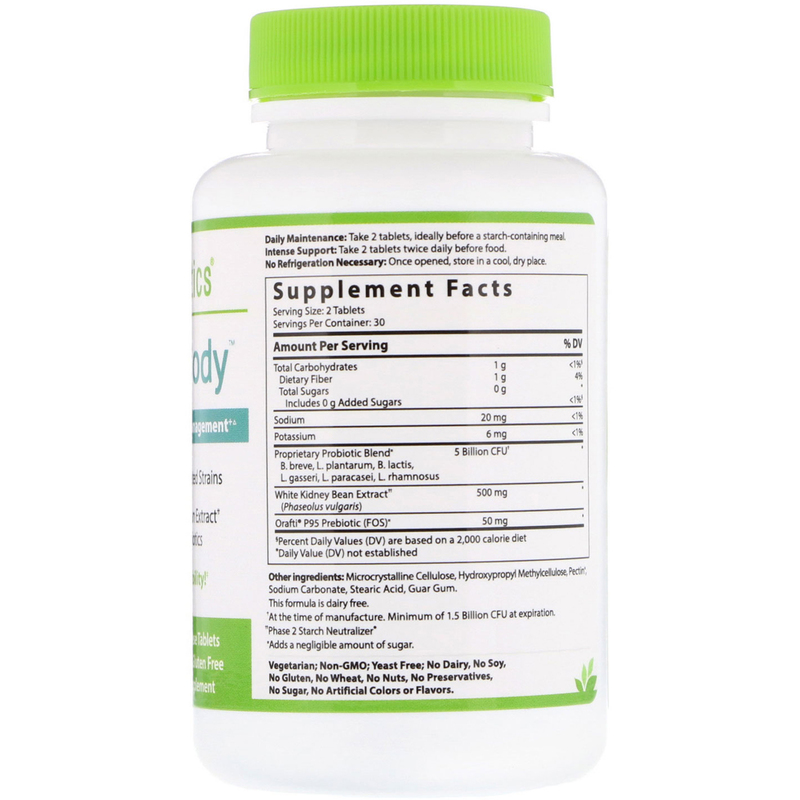 Intense Support: Take 2 tablets twice daily before food. Microcrystalline cellulose, hydroxypropyl methylcellulose, pectin, sodium carbonate, stearic acid, guar gum. Vegetarian; non-gmo; yeast free; No dairy, soy, gluten, wheat, nuts, preservatives, sugar, artificial colors or flavors. § Percent Daily Values (DV) are based on a 2,000 calorie diet.